Couple of years ago I spent a substantial amount of time in the Narmada Valley, I went there initially out of compulsion, stayed back out of choice. Saying that I was trying to “document” their struggle is really quite offensive for two reasons 1) That I cannot claim that much capability, detachment or indeed perspective for myself and 2) I doubt anyone can ever “document” the Narmada Struggle. 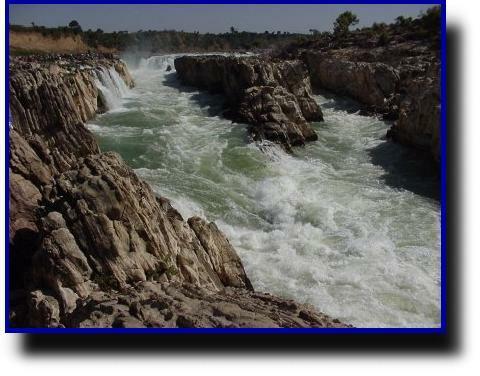 Narmada as a movement is a rare phenomenon, especially is it rare in a country like India where free speech is still languishing under the official secrets act. The reason I find the Narmada movement utterly fascinating aside of its courage, the outright atrocity and unfairness is the wide spectrum of reactions it has provoked. At one level this is what upsets me too. Activists oftentimes like to talk of overarching realities– large words like privatization, globalization and such… The Narmada too has been identified, pontificated upon and cast away as yet another example of the evils of trying to make *only* profit! Let’s look at the facts: 1) The Nehruvian vision sets forth the big dam 2) The State chooses the World Bank as its funding source- The WB notorious for fraudulent deals and poor procedures 3) The state decides to continue funding the dam after WB pulls out 4) The state chooses Ogden and S Kumars to fund 5) The state fails miserably to rehabilitate any village/household or villager satisfactorily. Privatisation does not imply state chosen private funding, competition in this case would have been a free bid to different private companies to fund each of the many dams– if at all one believes that the Sardar Sarovar need to have been built. Villages theoretically, could have fought in court for their property had they had any claims to ancestral land. Did they? No! So what is killing the villagers? Lack of property rights. And yet, people trumpet the whole leftist tune- as though the Nehruvian vision hasn’t taken enough lives yet. Previous Post The Free Market Myth?